Today’s 12 Days of Deals Promotion at Microsoft Stores brings another great deal for those looking for a new Windows powered PC. 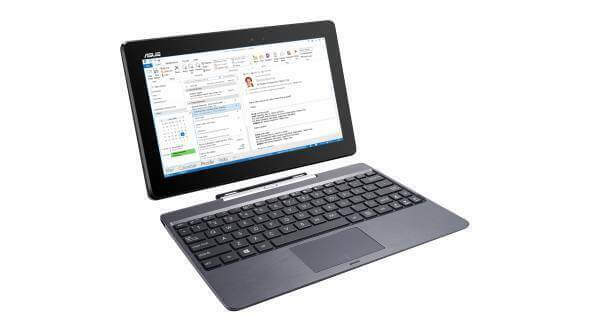 The ASUS Transformer Book T100 2-in-1 PC is available right now at Microsoft retail locations for only $199. That is a savings of $130. If you don’t have a store near you or want to shop online, you can still save $80, with a price of $249. The 2-in-1 is powered by Windows 8.1 with Bing so like the Toshiba Encore Mini featured on the first day of the promotion, this if full-blown Windows. It also comes with the keyboard dock so you effectively have a small laptop when it is connected to the 10″ display. If you want to pick up this great deal up you will need to hurry. So far 2 of the 3 promotions in the 12 Days of Deals from Microsoft had run out of stock and I suspect that today will be no different.